The Discovery channel just couldn’t bear it anymore! Bear Grylls, the British television Tarzan, has been dropped by Discovery Channel because of an ongoing contract dispute. How is he going to get out of this wild situation? It’s never fun being stuck in-bear-tween… ha! The Discovery channel announced that after a lengthy contract dispute, they decided to drop the star of Man vs. Wild — Bear Grylls. Excuse the puns, but they’re just so enticingly bear-ific. 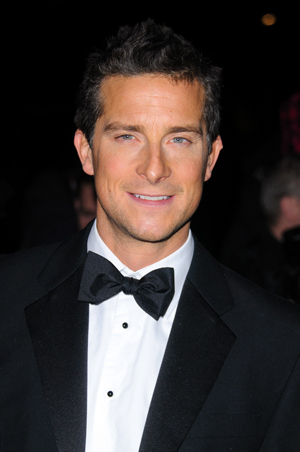 The British adventurer and television presenter started working with Discovery on Man vs. Wild — a survival show challenging Grylls to navigate his way out of demanding climates to civilization — in 2006. But after the network failed to get Grylls to work on two unannounced projects, they terminated his contract. “Due to a continuing contractual dispute with Bear Grylls, Discovery has terminated all current productions with him,” a representative for the Discovery Channel told Hollywood Reporter. Hopefully, he’ll have some amazing guests in his future projects, like Jake Gyllenhaal and Will Ferrell — who both appeared on Man vs. Wild. There ye go, kids. He’s not going anywhere.… Cue horror music. Godspeed!